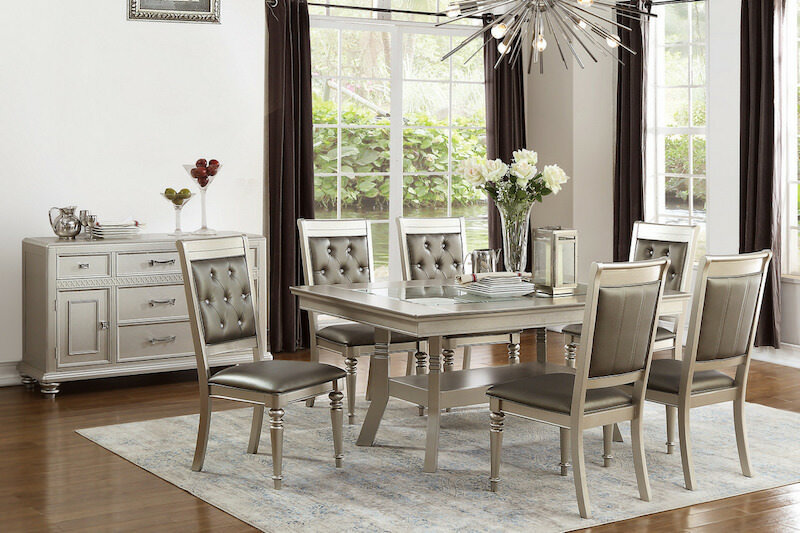 Live the lavish life and dine in luxury with this formal dining set the features a collection of furnishing hued in a silver finish trim. This collection is paired with silver finish trimmed chair with black upholstered seating and accent button tufting. The tables includes seating for six, a rectangular shaped tabletop with feminine curves and lines.